Major announcements came out of Microsoft’s Redmond, Washington headquarters today. 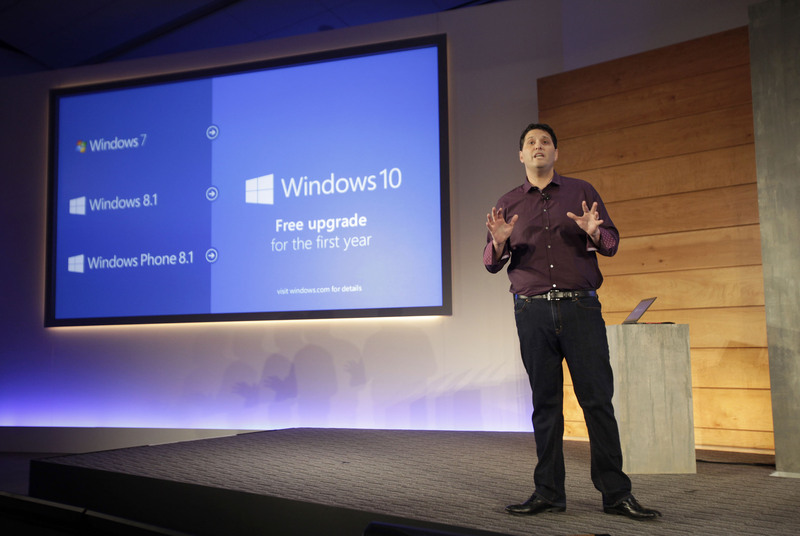 The company unveiled both software and hardware that are aimed to usher in its next Windows milestone. 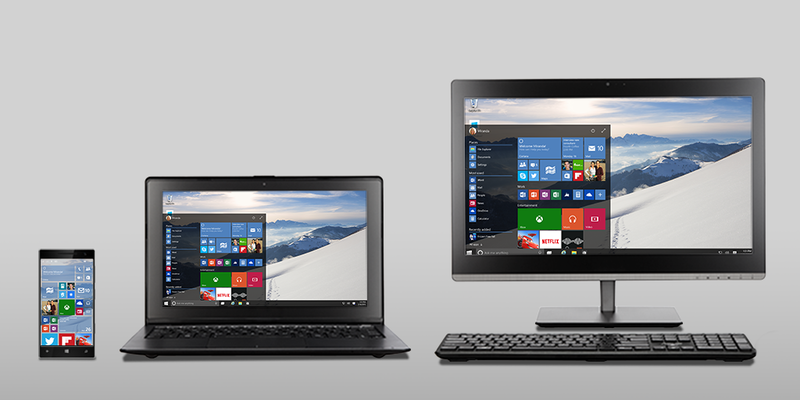 Here are the major Windows 10 software announcements. Yep, that’s right. While there is a precedent – Microsoft offered Windows 7 free to a select portion of its customer base, some of whom no doubt felt victimized by Windows Vista – few, perhaps, could have predicted that the highly anticipated next iteration of Windows would be made free, and to so many users. Considering Microsoft ended support for XP in April last year, the announcement that Windows 10 would be a free upgrade (in the first year following release) to users running Windows 7 and up should touch a majority of its install base. Microsoft didn’t outline any limitations on the upgrade however, how the the update would be rolled out, or even if it was optional. Some curious statements hinted at what may be a subscription model coming for Windows, with Microsoft execs pitching 10 as a “service” akin to the Internet. We will be watching closely as more details emerge. Microsoft wants to make computing personal again. Key to its strategy will be Cortana, which the company demoed for the first time on a PC. However, its function has been significantly ramped up running on Windows 10, and has been integrated into nearly every facet of the platform. On a basic level, Cortana has Google Now’s card functionality, with a persistent home in the task bar that can be brought up to show basic information such as weather, appointments, news headlines and flights. At the next level, one can command her to do a variety of tasks, including dictating an email, playing music, and imitate Yoda. Joe Belfiore, corporate vice president of Microsoft’s operating systems group showed off her integration by demonstrating her ability to simultaneously search local files, the Windows App Store, and files stored in the cloud, namely OneDrive and OneDrive for business. At the highest level of personalization, Cortana is able to learn about the user, including, apparently, their dietary restrictions. Belfiore demonstrated how Cortana looked up a restaurant based on a Facebook event and was able to read the website to pull up its menu as well as fluidly search for ingredients of questionable dishes. Of all the personal assistants, Cortana also sounded the most natural, by far. If this is all too 1984-esque, Microsoft assured the audience that one can easily bring up a list of what Cortana knows about the user, and delete items at will. These features will be coming to Windows Insiders within the next three to five months. Another major focus for Microsoft was the goal of making transitioning between devices easy, be it a laptop, a 2-in-1, tablet, phablet, Xbox One or mobile device. Windows 10 will run on everything, and it will all feel the same. First, the company showed off the start menu, which can now be resized to make for an easier transition from Windows 7 or 8. Microsoft is also taking a leaf out of the mobile design book, integrating toggles and notifications in a new action centre. On the flipside, Windows Phones will not only take advantage of Cortana’s upgrades, but will also see Skype functionality been built into messaging and phone call apps, as well as newly designed touch-centric Microsoft Office offerings. The company said that its “Windows Universal Apps” such as its gallery and calendar apps will have the same underlying code across devices but different layout. Through what was called “Continuum”, devices like Surface will even be able to transition automatically between tablet and PC modes. Last, but certainly not least, Microsoft even demoed Xbox One integration. Through an Xbox app on Windows 10 PCs, a user is able to see and instantly join a friend’s Xbox One game. What’s more, gamers can finally stream Xbox One games to Windows 10 devices. 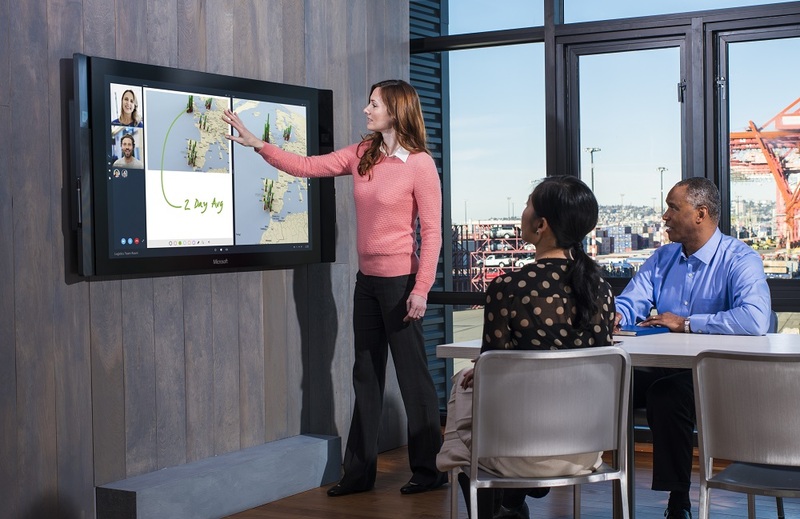 Microsoft also announced the Surface Hub, a smart TV with Windows 10 integration, designed for office use. It is a 55″ or 84″ 4K display with integrated compute with custom versions of Skype for Business and OneNote, built in cameras, sensors and mics, and a multi-touch and multi-pen screen. 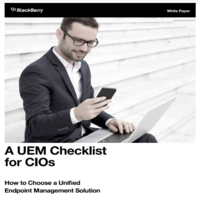 It allows for digital white boarding, remote conferencing, and the ability for multiple people to share and edit content on the screen from any device through wireless or wired connections. No word yet on the pricing. 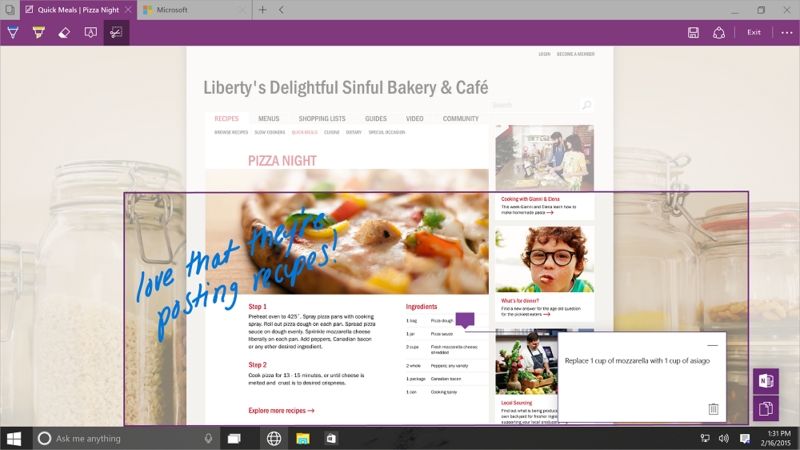 While no official name was unveiled for Windows’ shiny new browser, the demonstration of codename Project Spartan certainly piqued our interest. The browser was running fast and fluid in the demonstration, and had three tricks up its sleeve. First, as heavily rumoured, the ability to mark up pages was shown. This feature is integrated with Microsoft’s OneNote, and sections of websites with links that are still live can either be saved or shared with others. Secondly, Microsoft introduced Reading Mode, something akin to Pocket’s offline read-later functionality found on mobile devices. It streamlines websites and online articles into a clean format and adds it to a list which can then be accessed offline and on the go. Lastly, it has the aforementioned integration with Cortana. While certainly welcome additions, we are curious to see whether these additions will make Microsoft’s browser offering finally a worthy competition again to the likes of Firefox and Google Chrome.